The Education Committee supports the Canada-Wide Science Fair by awarding the Award for Excellence in Astronomy each year to the top student presenting in that category - one each in the Junior, Intermediate and Senior categories. The award is a $200 cash prize along with a certificate and a one year Youth membership in the Society. The Canada-Wide Science Fair (CWSF) is the annual national championships of the National Science Fair Program - a competition hosting the national finalists selected by nearly 100 Youth Science Foundation Canada (YSF) affiliated Regional Science Fairs across Canada. Each year, approximately 25,000 young scientists in Grades 7 to 12 participate in these nearly 100 Regions, showcasing their research and design achievements, and competing to represent their region at the Canada-Wide Science Fair. 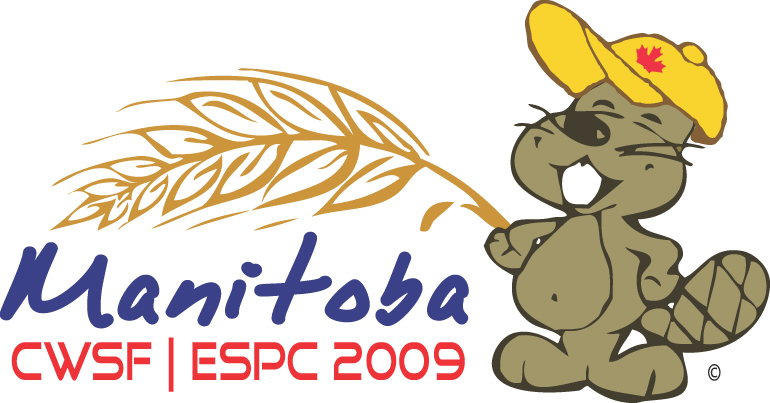 The CWSF takes place in May of each year in a different Canadian city each year. Reconnaissance Sensory Space Glove Prototype Eungyung Kim – Prince George, B.C. The 2011 Canada-Wide Science Fair at Seneca College in North York (May 14-21). The national science fair program recognizes the efforts of all young scientists. Each year approximately half a million young Canadians undertake science and technology projects, either as part of their schoolwork or as a personal interest. Of that number, more than 25,000 young scientists participate in over 100 Regional Science Fairs in every province and territory. Within the National Science Fair Program, the Canada-Wide Science Fair constitutes the national championship round, where finalists from regional science fairs across the country meet and compete for $1M worth of cash prizes, scholarships, and travel awards. CWSF 2008 was held from May 10-17th, 2008 at Ottawa University. There were many attractions to keep the students busy, but some of the best attractions was the Science and Technology BBQ,and the adventure tours. The RASC contributed funds to sponsor two awards in the Junior and Intermediate catagories. Winner of the Junior Award for Excellence in Astronomy: Floret Herbinger of Nova Scotia. Abstract "Tracking the Sun": This project compares the power output of a solar panel under different configurations and seasons, to see if it s more efficient to track the sun. The four configurations are fixed panel, vertical axis panel, horizontal axis panel and dual axes panel. Floret also built a simple solar tracker to rotate the panel and by doing so, follow the light. Winners of the Intermediate Award for Excellence in Astronomy: Cody Lee O'Neil and Derek Wai Yip Ling of Kelowna, BC. Abstract " Orbital Forcing-An Astrophysical Solution to the Puzzle of Climate Change": This project studies the effects of orbital forcing on the Earth's climate through the analysis of astrophysical cycles. Based on extensive orbital Earth's orbit to long-term climatic change, particularly ice ages. In addition, an attempt is made to relate the solar cycle of sunspots to short-term climate change associated with global warning. CWSF 2005 held at UBC in Vancouver from May 15 to 22 was the largest to date. All 10 Provinces and 2 Territories were represented. There were also a few international students from Norway, Sweden and Taiwan. Of the initial 25,000 participants, 477 finalists, with 382 projects attended the 2005 Fair. The finalists were grouped in three categories: Junior - Grades 7/8, Intermediate - Grades 9/10 and Senior - Grades 11/12. Projects were judged in 6 scientific divisions: Biotechnology, Earth and Environmental Sciences, Engineering and Computing Sciences, Health Sciences, Life Sciences, and Physical and Mathematical Sciences. About 10% of all projects were in French. Astronomy projects were distributed across these categories depending on their area of emphasis. There were only two awards given - there was no entry for the intermediate category. In order to qualify, the project had to be "An outstanding project related to astronomy - observational, instrument construction, or other". Shelby Mielhausen for her well-researched and documented project, "Twinkle, Twinkle Little Star", won the Junior category award. It dealt with the effects of light pollution at different sites and its deleterious effect on observing. More effective lighting fixtures (designs included in Shelby's presentation) were proposed as part of the solution for reducing light pollution. Downloadable copy available (N.B. 30 MB). Vancouver resident Jennifer Loong was the winner of the Senior Award for her " Oh-Dee: Orbit Determination". For determining the orbit of Asteroid (88) Thisbe, she wrote a computer program using IDL (Interactive Data Language), an array-oriented language for mathematical analyses. She used UCLA's 7-inch telescope and astrograph for the astrophotography required for her project. Her follow-up project will be to adapt her program to predict the orbit of comets. Jen's ambition is to become an astronaut and own an aerospace company. She has already discussed her work and aspirations with Canadian Astronaut Chris Hadfield. In the meantime, as a recipient of an annual RASC membership; she has been invited to participate in RASC-Vancouver Centre activities. In the 2004 competition Brian Le won for his project Astrophysics for All. Brian's project focused on bringing astronomy and astrophysics concepts into the middle school curriculum and was demonstrated with three experiments appropriate to this age group. Janet Dawson (Vancouver Island BC) Goodnight Sun! Grant Mansiere (Central Okanagan BC) Does Light Cause Crime? Andrea Kovesi, Twinkle, Twinkle Little Star?